Canard Design was developing a new wheelchair, which needed to fold flat and to be light enough to be carried quickly by paramedics. It needed seat pads that would be cost effective to make, easy to keep clean, durable and light weight. Our consultants were given the task of designing new panels that would be lighter than the ones on the first prototype. This was quite a challenge, because the first prototype already used lightweight panels. Rather than prejudge the best approach, our consultants modelled a generic panel in a range of materials. It was not clear whether a sandwich panel or a single sided panel stiffened by ribs and stringers would work best. 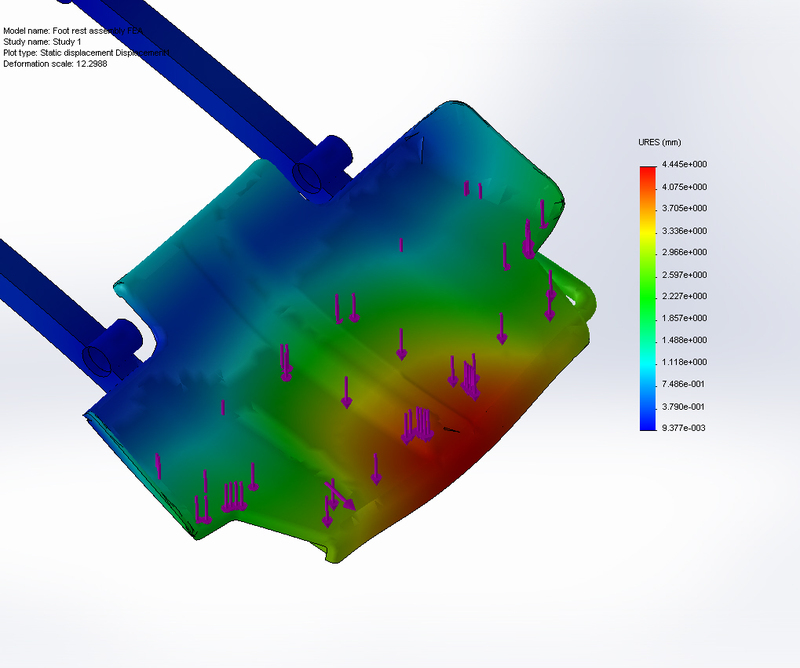 Our numerical mechanical model included both and the thicknesses and number of reinforcing features were left as unknowns. The range of materials included several plastics, moulded plywood, composites and aluminium. 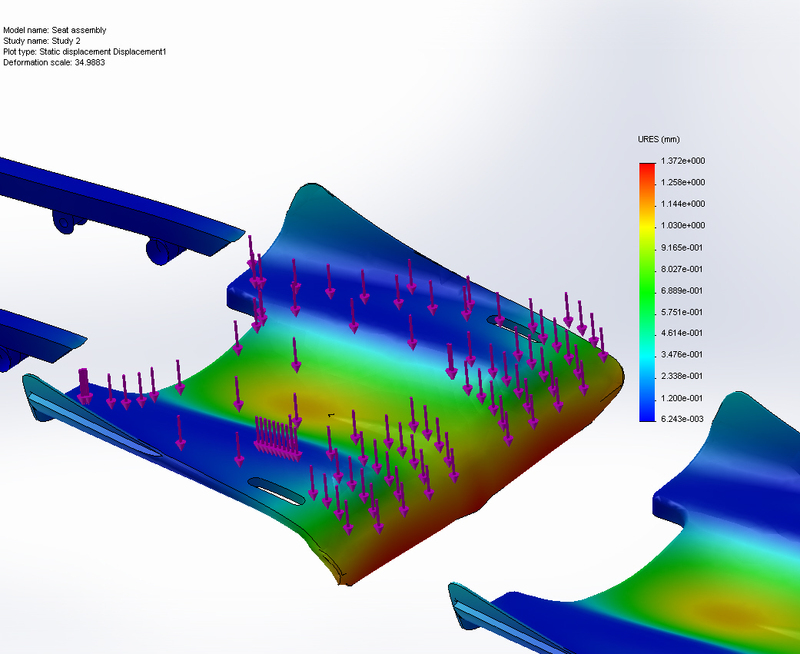 The mechanical model worked out the optimum values for target stress values and gave us the optimum design in each approach. This quickly ruled out most possible materials and our consultants presented the designer with two options. High impact polycarbonate with a stiffening semi ‘egg box’ structure on the back would be most cost effective for long production runs. Sandwich structures using structural foam would be most cost effective for small batches. The final prototype used sandwich panels and our consultants modelled them using FEA. 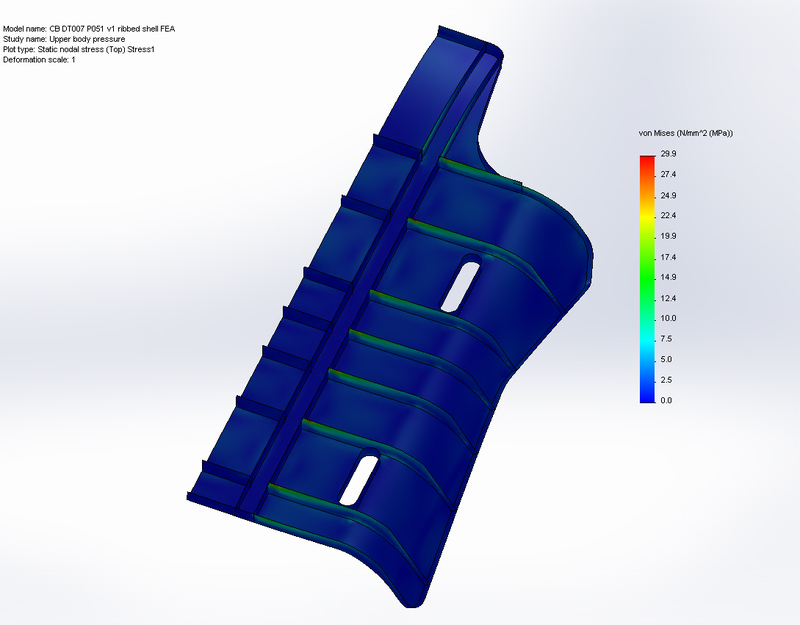 The weight of the panels, which were already composite, was reduced from 4kg to 1.8kg. 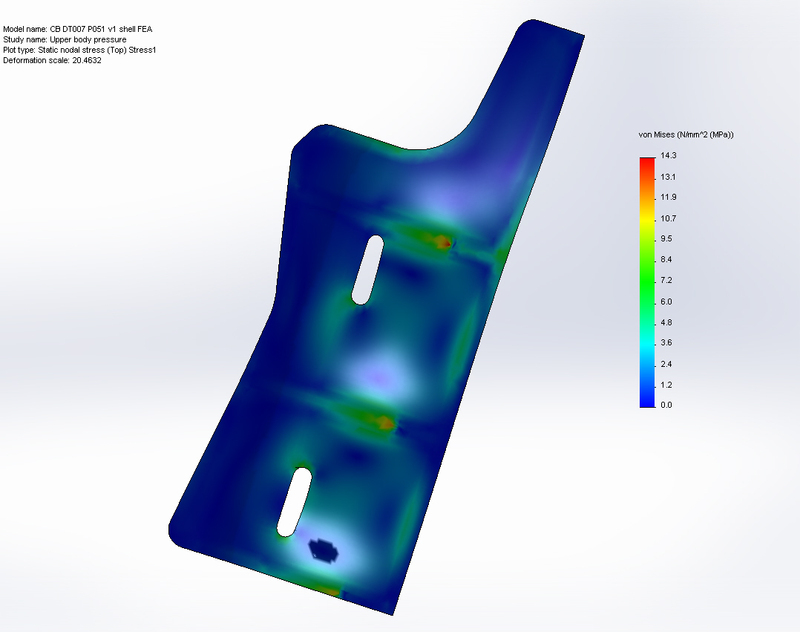 Mechanical engineering design by UK consultants Coupland Bell of a light weight seat panel.